Cherry City Kitties : Look what our friend gave us! Look what our friend gave us! Please visit Loupi and Zorro! We get to answer 11 questions that Loupi set out for us, so here goes. 1. What is your idea of ​​a perfect day? Dexter: Starting off napping in bed with mom and dad, then napping in the sun, then eating, then napping on my favorite spot on the ottoman. 3. What scares you? Harry: The big sucky motory thing. 4. What is your food human favorite? Tipp: Milk, it agrees with me fine. 7. What is the best gift you've done to your domesticated? (Dumb Google Translate...) Harry: The best thing I think I ever did for mom was to sit on her chest and give her reiki purrs when she came home from the hospital. 8. What is the best gift you have made your domesticated? (again with the Google....) We think the best thing we have all made together was a happy, loving home for all. 9. What would you say to VET at your next visit? Tipp: Hi nice lady.. do you remember what happened when you woke me up too soon from cleaning my teeth? I'm sorry. 10. What is your favorite hiding place in case of danger (visit young children for example)? Harry: top of the refrigerator Tipp: in mom and dad's bed Dexter: I'm brave, I don't hide! 11. What is your favorite fictional hero chat? .... all together now.... Henri' le Chat Noir! Favoritie T.V. show to watch with your humans? What was your naughtiest naughty? How did you meet your humans? What do you like most about being a cat? What shelter/rescue do you give paws up too? What is your favorite cat holiday? What is the one thing you do that makes your humans smile the most. Please remember to pass this along to your friends, along with your questions! We can't wait to see your answers! Awwwww! Fanks for sharing! Well done on your award. I like you answers. I'd have given you the award too! Concatulation !!!! Woo Hoo ! conga ratz on yur awards doodz tho we wuz surprized noe one men shuned flounder N friez aza food fav :) !!! Concats on your award - we love learning things about our friends. How much fun! Harry dood, you did good with the reiki on your mom! Congratulations to youuuuuuuuuuuuuu!!! We always love learning more about our furiends! Did you see my blog yesterday? 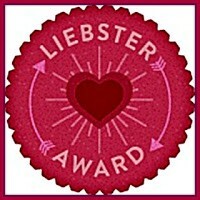 I answered your questions AND passed the award along! Thanks so much for this, guys! Congrats on your award. Loved your answers to the questions. Hope you have a great evening and a good day tomorrow.Take care. Much congrats to you and a HUGE thank you for passing one on to Rascal and Rocco! I am so moved! I wish I would have jumped into the pet blogging world long ago, I've never felt more welcome! Now I just have to figure out what I'm supposed to do! *PURR* from the boys, who are currently trying to squeeze onto one dining room chair to nap (not an easy task for these two). HAH! Answer 9 was the best. I can only imagine what happened. Last time I made the vet lady's thumb bleed profusely and I'm not sorry. Our answers are up if you're interested. I love what you'd tell the Vet, by the way! ConCATulations to the award ! I'm over at the Tabby Cat Club!